My prediction is that in this fall’s announcement, the iPod Touch will be going away, and that it will be replaced by the iPhone Wi-Fi. 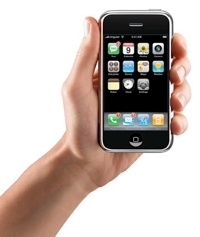 Most people refer to the iPod Touch as an “iPhone without the phone.” With FaceTime and iMessages, the iPod Touch essentially becomes a phone. The only difference is that it can only connect to a Wi-Fi network, not a 3G network. The iPad line is currently split into Wi-Fi and 3G, it makes sense to me to do the same with the iPhone. I’m probably wrong, and I’m ok with that. You have to admit, this sounds plausible, doesn’t it?